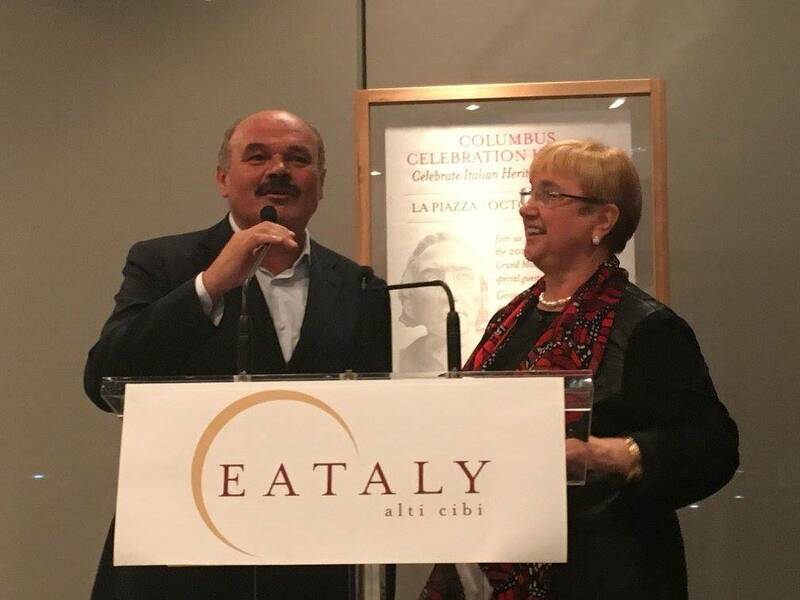 The Columbus Citizen Foundation kicks off the 72 annual Columbus Day Parade with an elegant ceremony in the new Eataly to introduce this years distinguished honorees and Grand Marshal. The event began with a beautiful speech from the Governor of New York, Andrew Cuomo. Every year since 1929, Italian-Americans have gathered together in New York City on Columbus Day to parade in recognition of the countless accomplishments of the Italian-American community all around the world. 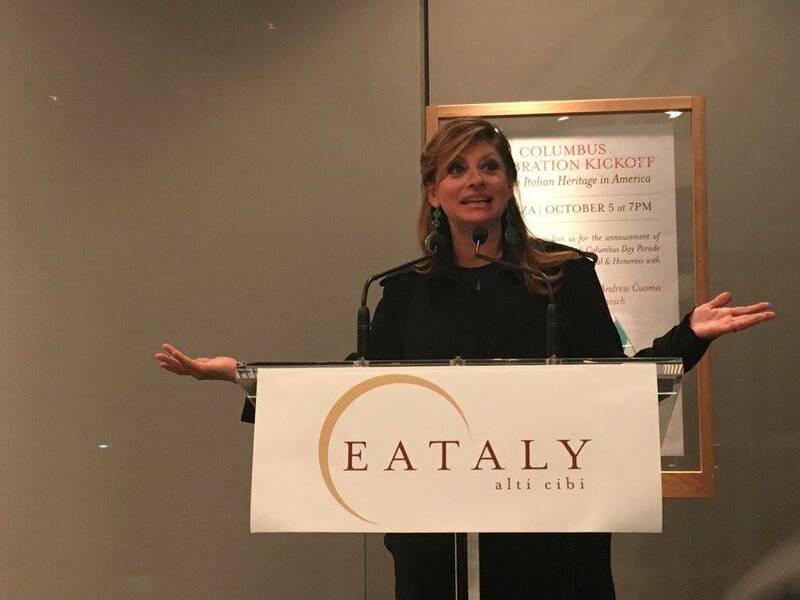 On October 5, 2016, Maria Bartiromo, on behalf of the Columbus Citizens Foundation, a foundation dedicated to the preservation of Italian-American heritage and a scholarship program for capable underprivileged Italian-American students to excel in education opportunities, is proud to introduce its 2016 Grand Marshal and honorees at a beautiful event hosted by Eataly in New York City. This new Eataly location opened this past summer in the World Trade Center, a place that is very precious to the heart of New York City. Oscar Farinetti and Lydia Bastianich were partners in this endeavor, along with Mario Batali, who unfortunately could not accompany Farinetti and Bastianich to the Columbus Citizens Foundation event due to the filming of his daily show, The Chew. The event began with a beautiful speech from the Governor of New York, Andrew Cuomo. In his opening, he emphasized the importance of hard work and prosperity and explained how the classic Italian family values begin at the dinner table. He also expressed his excitement to march in the parade. During his speech, he speaks about the necessity to keep Italian culture alive and how the Citizens Foundation preserves the following idea: “Italians are a people of honor, a people of culture, a people of law and order, and a people of hard work.” Cuomo continues to say that we are responsible for passing these ideals to future generations, and that it is though tradition that we can tell the true story of the Italian-American people. His message about the mission of the foundation and the parade itself was clear when he stated, “It’s not really just about the parade, it’s about the good work that the foundation does all year long. What they do to help people get a quality education with their scholarships is really special, and what the Citizens Foundation does is tell the true story of the Italian-American people.” That is truly what the Columbus Citizens foundation is about and is why people should come and show their support and demonstrate a true Italian-American story. This year’s honorees are two dedicated Italians successful in their respective business, one a representatives of culinary excellence, and the other of innovative fashion. 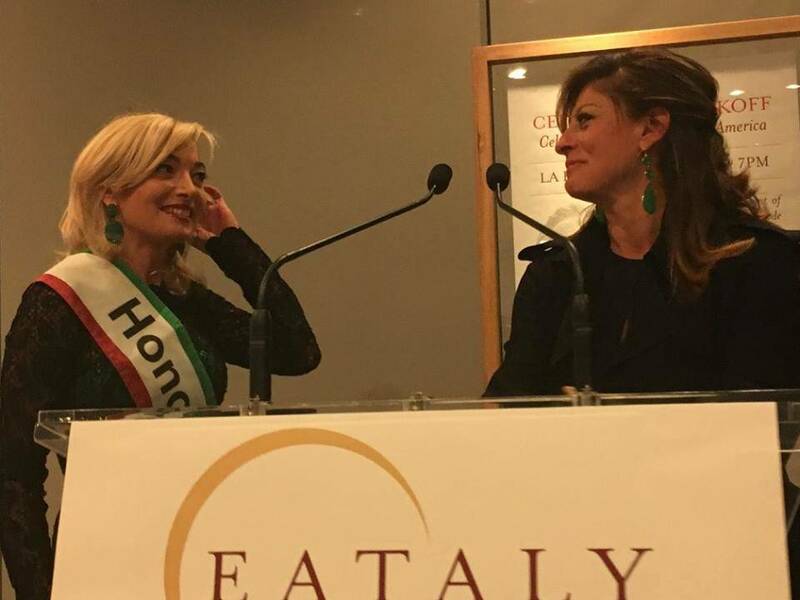 First is chef, writer, and restaurateur, Mario Batali, and the second is global business-woman and fashion executive Federica Marchionni, who was present at the event. Both Batali and Marchionni are incredibly hardworking individuals, who have built an empire around their passions anchored in their Italian roots. Marchionni began her career in the fashion world working as president of Dolce and Gabbana USA. Her curiosity, persistence, and personality is what truly lead to her success. 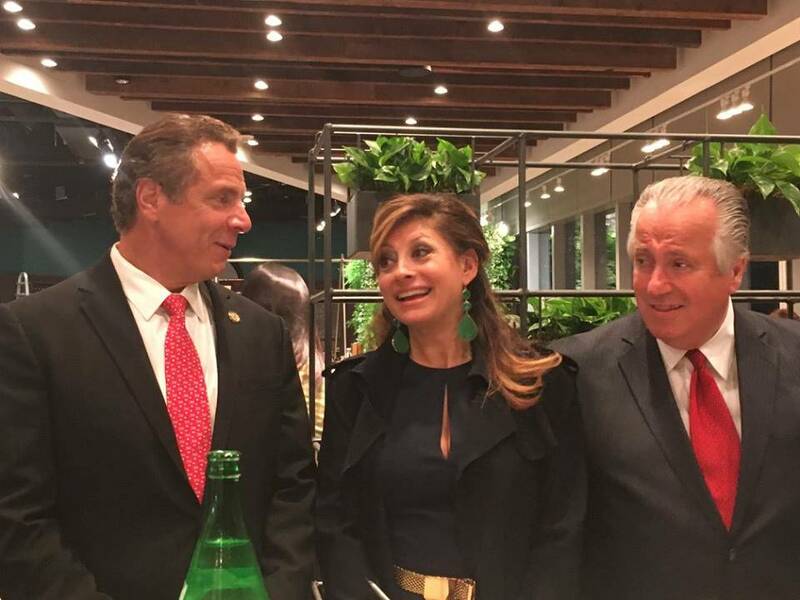 Additionally significant, she understands the importanance of taking a role in the Italian-American community, and for that reason, she will march in the parade and represent her culture on this upcoming Columbus Day. Mario Batali is another leader in the Italian-American community, focused on implementing the true meaning of Italian cooking across the world. He is educated in culinary arts and TV-famous with his entertaining and easy-to-follow cooking shows. He is deeply rooted in his Italian heritage thanks to the lessons of his grandparents, who passed on their passion for the Italian cuisine and taught him to be an ardent Italian. He recently lent a helping hand in aid for the earthquake relief by donating money for every plate of Amatriciana sold at his restaurants. After a brief speech by Marchionni, Bartiromo introduced this year's Grand Marshal and leader of the parade, Robert Lapenta, founding general partner of Aston Capital. 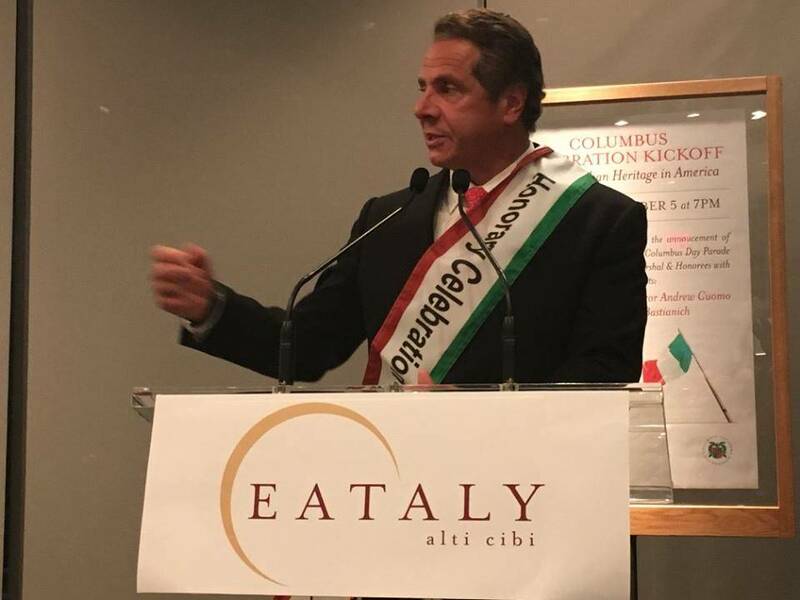 Showing his pride in the goals and accomplishments of the Columbus Citizens Foundation, he speaks on the importance of what is means to truly be Italian-American. In a beautiful and humbling speech, he speaks about how the tragedy of 9/11, just 15 years ago, has proved that we, as Americans and as Italians, are brave and strong and that when we come together we can shed light on some of the darkest times in modern American history. “It shows the heart and the courage of Americans, and I am really proud to be here.” These words were even more powerful being that Eataly is located in the World Trade Center, a truly beautiful memoir to those who lost their lives on the tragic day. 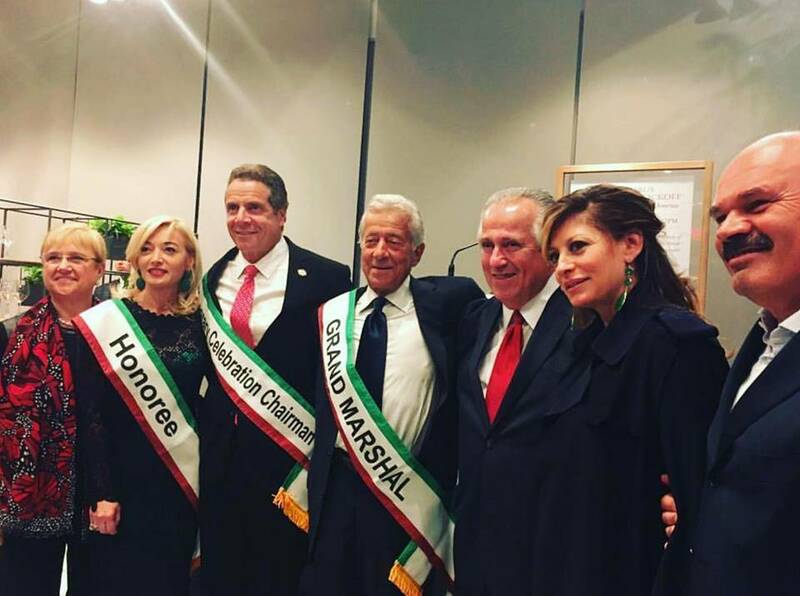 With the empowering encouragement of this year's Grand Marshal and two incredible honorees, the Columbus Day Parade will be, once again, an absolute success because it is based on the ideals of success and opportunity that have been engrained in the Italian-American mindset since 1492, when Columbus sailed the ocean blue.